Life and Style by Lisa B: The pool and other weekend fun! I hope you all had a great weekend! As many of you have probably heard we are having a crazy stretch of weather here in the midwest. We have had 20 days in a row of over 85 degrees and it doesn't appear that it's going to be cooling down any time soon. 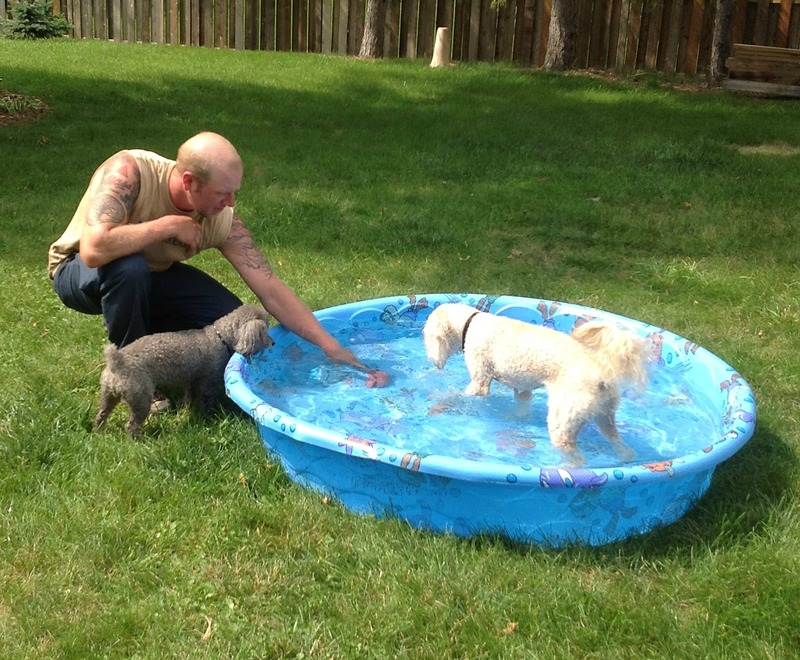 Here is what our pups (and family) do to keep cool (I know this pool is huge)! Ada, our goldendoodle, loves the water! Ditto, the toy poodle, loves it only up to her belly! They just love the pool! We also found out a couple weekends ago that Ada loves to fetch frisbees in the lake! She is such a good swimmer! 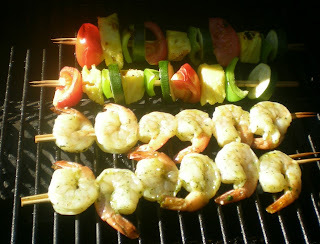 Here is a pic of a meal that I grilled. Kabobs, mmmmm! This time I also added pineapple to the veggie kabob! It was delicious! PS: Matt was working in the yard that day. The shirt with the cutoff sleeves and the navy mechanic pants are not a typical outfit!